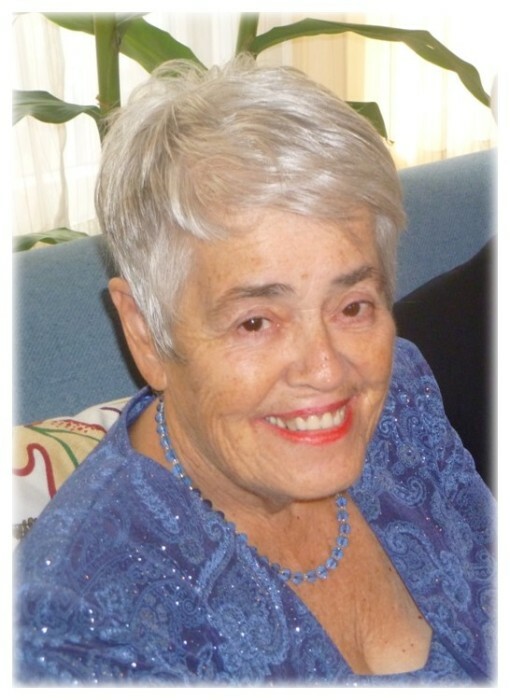 Lorraine Joan(Hayes) Priddle passed away peacefully, after a lengthy illness, on November 14, 2018 at the age of 83. She was the beloved daughter of the late Edward and Margaret Hayes. Born in Boston she resided in Winthrop for 80 years. She was the devoted wife of the late David V. Priddle. They started dating when they were 15 years old. They were an inseparable team and enjoyed over 60 years of marriage. She was the loving mother of David and Carole Priddle of Pepperell, Debbie and Philip Stewart of Beverly and Darlene and Mark Ferreira of Winthrop. Cherished Nana of David Priddle II and Nicole of Natick, Bert Priddle of Merrimack NH and Carl Priddle of Lima Peru; step grandchildren Sarah and Andrew Channel and daughter Madeline, Russell and Katie Stewart and son Maxwell all of Beverly. Dear sister of Henry and Nonny Hayes of Winthrop, Edward Hayes of Winthrop; the late Eileen Coyle, and Carol and Paul DiVito. Also survived by many loving nieces and nephews. Her family was her devotion. She delighted in making every weekend a special time at the house on the lake. She leaves behind nothing but beautiful memories, for not only her own family, but for many extended family and friends. She loved playing rummy 500, a good word search and a romance novel. Our hearts are broken that our dear sweet Mom, Nana and friend has left us, but it gives us peace knowing she is dancing in heaven with our Dad. Family and friends are cordially invited to attend the visitation from the funeral home on Sunday, November 18, 2018 from 4:00 to 8:00 PM. The funeral will be conducted from the funeral home on Monday, November 19, 2018 at 9:00 AM followed by a Funeral Mass in St. John the Evangelist Church 320 Winthrop St., Winthrop at 10:00 AM. Interment to follow the Mass in the Winthrop Cemetery (Cross Street section). Memorial donations may be made to the Alzheimer’s Association at www.alz.org.